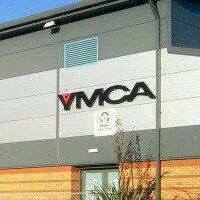 YMCA Lytham is delighted to announce that plans for the refurbishment of the gym are now underway. The £190k investment to the centre will see the inclusion of the latest generation of cardio equipment and technology from Life Fitness. We will have everything you expect plus brand new Power Mills and all with the new digital fitness experience (LFConnect). The new equipment will introduce NEW Lifescape where the world is your workout. Immerse yourself and cycle in France’s Col de la Colombiere or run through California’s Trinity Mountains. On Sunday, YMCA Lytham gathered the community’s strongest men and women to compete in their first Strongman Competition. A total of 18 competitors, split into four categories, demonstrated both mental and physical strength to compete against each other in 5 gruelling events, the Axle Power Clean and Press, Car Deadlift, Yoke/Farmer’s Walk, Tyre Flip and Atlas Stones. YMCA Thornton celebrated the first anniversary of its redevelopment by throwing a family event to remember. Hundreds of people from surrounding communities came together on the day and participated in a variety of fun and exciting activities and displays. Many local businesses and services also supported the event, giving local people a taste of what this family-friendly centre has to offer and raise awareness of our local services. 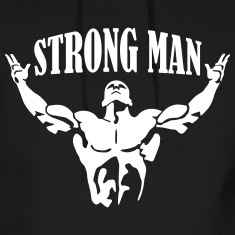 YMCA Lytham are calling upon all of our strongest men and women to take part in our YMCA Lytham Strongman event on Sunday 17th April, 9.30am till 4.30pm. There will be trophies up for grabs and all competitors will receive a medal.